Anyone mount tires up? 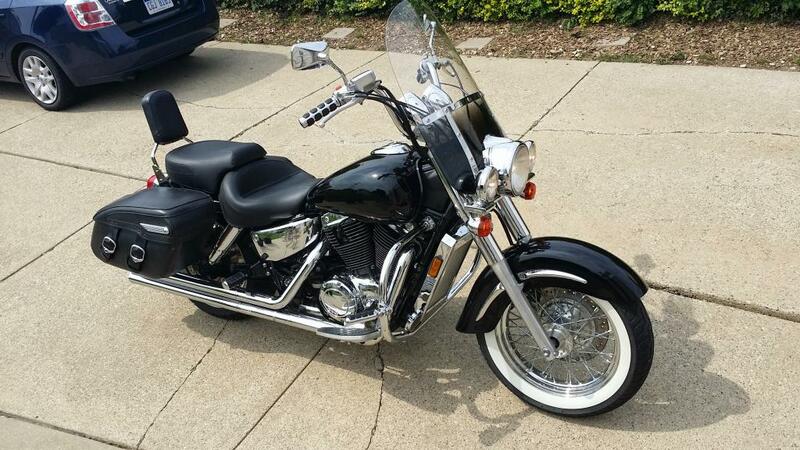 I need a set mounted on my 1998 vt1100c3 aero. Pm me if interested. Last edited by ryzenshyne; 03-25-2016 at 10:19 AM. They're on Gratiot at 21-Mile Road on the southeast corner. Only time I used them was once when I had a nail in my tire. They got me right in and did the repair while I waited. They wanted $225...i found a place called blackbeard powersports on groesbeck and metro parkway that said $130. I think im gonna go there. I have tores done there before and had no issues. Get in touch with me ...we can go ride some time. Bike night at Gibraltar every friday night is coming up soon. 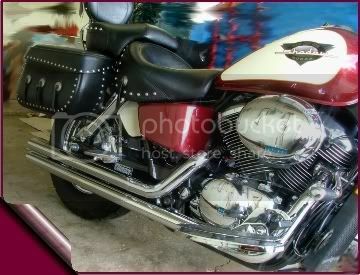 I still cleaning up bike, but I plan on going to blessing of the bikes in 2 weeks. It Sunday April 24th I believe. Quit wiping the thing down and get on the road! Shortly after I got my bike I stopped by an old guys house I respected. He always rode and took great pride in his bike. I was a bit embarrassed that my bike was dirty, but his response was "You can wash it, or you can ride it. If you ride 'em they just get dirty again." I do wish I could find more time to clean it though. Is Blessed be the bikes still held in Baldwin, I had a cabin up their some years ago when I lived in MI. Baldwin Blessing of the Bikes is going on right now. I've been meaning to make it up there but life keeps getting in the way. That's a huge event from what I understand, it won't go away any time soon.